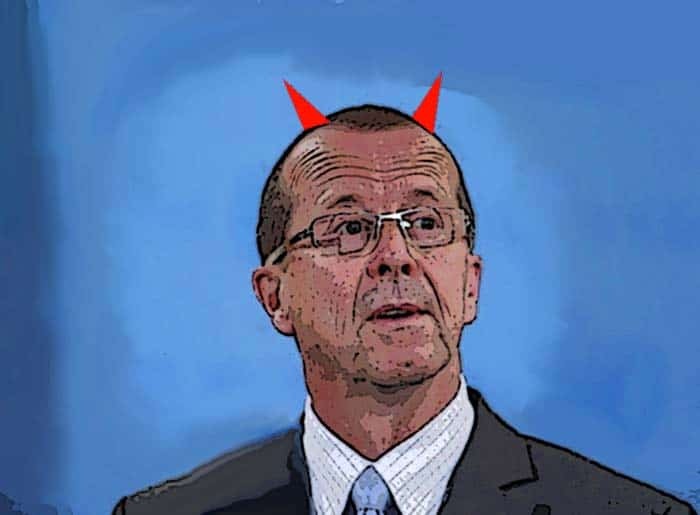 Are Martin Kobler’s Remarks at UNSC Setting Stage for Third Massacre in Ashraf? Everybody was shocked by the gratitude and appreciation that (SRSG), Mr. Martin Kobler expressed at the UN Security Council session yesterday regarding the flexibility that the GOI has shown against Ashraf residents. In response to the remarks by the Special Representative of the Secretary-General, the Iranian Resistance issued a statement detailing extensive failures. The statement is included below. Surprisingly, Mr. Kobler thanked the Government of Iraq for its efforts, completely ignoring Iraq’s systematic violation of its commitments, in fact he did not mention any of the government’s 280 violations in Camp Liberty between Feb 18 to Jul 4 this year. Maliki’s government has provided only around 25% of the list of minimum humanitarian requirements the residents need. These include water and power, utility and passenger vehicles, forklifts, necessary equipments and materials for construction of porches, facilities for patients. They have also prevented Ashraf residents selling their own goods to raise money. Nothing has been done to resolve the issue of water that is currently provided by the residents from 12 Kilometers away, in 55 degree Celsius heat (131 degrees Fahrenheit), which also incurs huge costs for the residents. There have been extensive international protests to Kobler’s biased conduct in favor of the Maliki Government and the Iranian regime. Protests have come from UK and US churches, the US congress, the Council of Europe, more than 4,000 parliamentarians in 46 countries, and the International Union of Lawyers. Mr. Kobler ignored them all and asked Ashraf supporters to support him and allow the Government of Iraq to exert more pressure on defenseless residents, to force them to relinquish their minimum rights and legitimate and legal demands. Every fair minded individual would have been shocked and deplored by the gratitude and appreciation that Mr. Martin Kobler expressed at the UN Security Council session yesterday regarding the flexibility that the Government of Maliki has shown vis-a-vis Ashraf residents. His remarks on “difficulties in maintaining dialogue between UNAMI and the residents and between the residents and the Government of Iraq…” are absolutely untrue. The residents and their representatives have consistently welcomed dialogue with UNAMI and officials of the Government of Iraq. They only refrained to take part in meetings that are chaired by an individual who has tortured and murdered the residents and is under international prosecution, subsequent to three months of futile attempts, in order to prevent further creation of crisis and tension. Mr. Kobler apologized to the residents for taking the same individual with him to Ashraf as the chairman of a meeting last January. This is while nothing has been done to resolve the issue of water that is currently provided by the residents from 12 Kilometers away at 55 degree Celsius involving huge costs. Kobler had previously written on several occasions that the Government of Iraq has made a commitment to connect the water of the camp to city water network prior to the month of Ramadan (July 20) or to allow the residents pump the water from a canal that is 150 meters way and to purify it. Previously on December 6, before the UN Security Council Mr. Kobler committed that ” any workable solution must be acceptable to both the Government of Iraq and to the residents of Camp Ashraf. A solution must respect Iraqi sovereignty, on the one hand, and applicable international humanitarian, human rights and refugee law on the other hand” this is what Mr. Kobler has never fulfilled. It is very surprising that despite all the extensive international protests to his biased conduct in favor of Maliki’s Government and the Iranian regime against its opposition, including protests by the churches in the UK and the US, the US congress and the Council of Europe and more than 4,000 parliamentarians in 46 countries as well as International Union of Lawyers, Mr. Kobler pointedly asked the Ashraf supporters to side with him and the Government of Iraq to exert more pressure on defenseless residents in order to give up their minimum rights and legitimate and legal demands. During his remarks in the UN Security Council, he saw no need to remind that 49 Ashraf residents were killed and more than 1000 wounded in the July 2009 and April 2011 raids and he has also forgotten the UN commitment for an investigation in this regard. Instead, he warned defenseless resident not to resort to violence and provocations! Mr. Kobler’s positions in the UN Security Council against Ashraf residents, coupled by expressing his gratitude to patience and flexibility of Maliki, ignoring the systematic violation of Iraqi government’s commitments stipulated in the Memorandum of Understanding that Government of Iraq had signed with Mr. Kobler, is deliberately putting blind eyes on the truth and the rights of asylum-seekers as well as humanitarian standards and International Humanitarian Law will without any doubt pave the way for the third massacre in Ashraf.